Mayer has made improving Yahoo’s popularity on smartphones and tablets a priority as the faded Internet search pioneer is re-invented. Yahoo CEO Marissa Mayer takes part in the session “the new digital context” on the opening day of the World Economic Forum in Davos on January 22, 2014. AFP – Struggling Internet giant Yahoo! 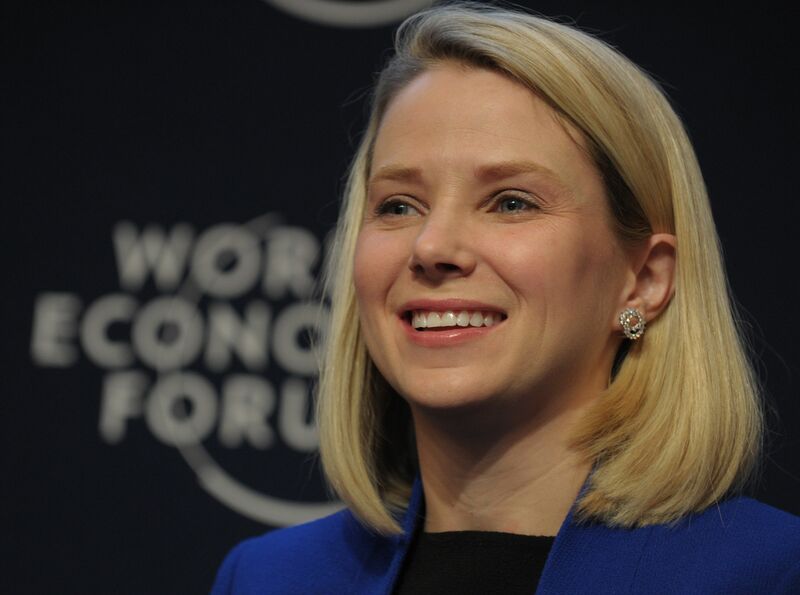 will see more users accessing its services by mobile in 2014 than classic desktops, chief executive Marissa Mayer said on Wednesday at the Davos World Economic Forum. “2014 will be the year of the crossover,” Mayer said while sitting on a panel regarding the world digital context. “By the end of this year we will have more mobile users than we have PC traffic. You have to be prepared for that,” she said. In December Yahoo was the most popular online venue visited from US desktop computers and the firm has been under pressure to switch its core of the business to the increasingly crucial world of smartphones. Mayer, who was poached from Internet rival Google in 2012, has run into road bumps in recent weeks with the surprise exit of two top executives including her second-in-command. Chief operating officer Henrique de Castro walked away with a $20m (€14.7bn) stock award and other compensation after just 15 months on the job. In Davos, Mayer said hiring was key to the next stage of the company’s development. “It is a matter of hiring the right people and making sure these people are really informed,” she said. The departure of Castro amid continued poor ad revenue left analysts wondering whether Yahoo! will disappoint in a quarterly earnings report due on 28 January. Mayer said she arrived to Yahoo! when the company had just suffered five years of turbulence and the staff she discovered were eager to turn the company around. The employees “had all this pent-up energy” she said.